Hello, it's your sleepy friend Bullitt! 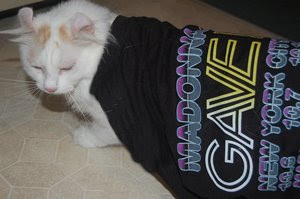 This is me the morning after Madonna's concert, not that I went to the concert but I didn't sleep much because I was waiting up for the Spender and she came home so late! Since Halloween is around the corner, my deals this week are two Madonna's Halloween Costumes! 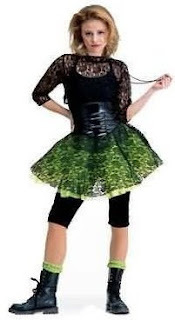 80s Pop Star Costume - Wild and Crazy! Don't forget to practice your Vogue moves!! !